It’s January which means everyone is setting their goals, dreaming big and having high hopes for 2016. 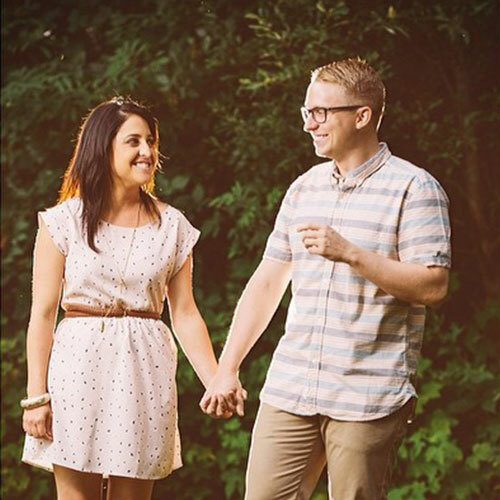 This is the time to set goals with your husband or wife! I guess the saying can go “Couples who are healthy together, stay together”. Let’s be real. You’ll look hotter for your honey, have more energy, and are less moody. Plus you have a built-in accountability partner to keep you on track with looking and feeling great. We as a married couple have gone on quite the health journey. I was diagnosed with diverticulitis almost two years ago and we’ve had to make some major dietary changes in our house. Little did my husband know that when he said “I do”, he’d be committing his life to eating like a rabbit right along side of me. The funny thing is, I’ve always been healthy all of my life. I’ve never been unhealthily over weight, I’ve always been athletic and kept a work out regiment, I’ve never spent time in hospitals, and other than a battle with anxiety, I’ve always felt really great. But when the doctor said that I pretty much had the digestive system of a 50 year old at the age of 27, we had to make some major changes with what we put in our bodies. I’ve learned from all of this that stress can do cruel things to your body and the average American diet unknowingly lacks about 20 grams of fiber that should be added to your daily intake. 50% of the American population are actually unsuspecting victims of diverticulosis. We’ve made a personal commitment to limit meat and processed food and increase vegetables and fruits into our meals through out the day. After all of that, what am I trying to say? The way that you treat your body will affect your partner. Plus, with a diet change of more fresh fruits and veggies that have a higher fiber count, you’ll notice how much better you feel, how less often you get sick and even how great your skin looks. This is the way God designed us and we must treat our bodies like a temple. We’re here to encourage you to get healthy with your partner! This may not be a date idea, but it is certainly a relationship lifestyle and we’re all about life that’s better together. One of the easiest ways to make an impact in your health is smoothies! If no sugar or dairy is added, it’s a great and sweet way to reach your daily intake for fruits and veggies, improve your digestion, get better skin and have a stronger immune system. Replacing one meal with a smoothie every day will make weight loss easy and and give you a boost in energy – there’s so many benefits that my husband and I have experienced that I could just keep going on and on. But I won’t bore you with that, so without further a due, here are all fruit and veggie smoothies that are easy to make and taste yummy. All of these recipes are made to be two servings – one for you, one for your partner. Start off by blending the lime and pears. Blend in the apples, banana and coconut milk until smooth. Finally add in the kale and blend until smooth. First, blend in the lime. Add in the banana, mango and coconut milk. 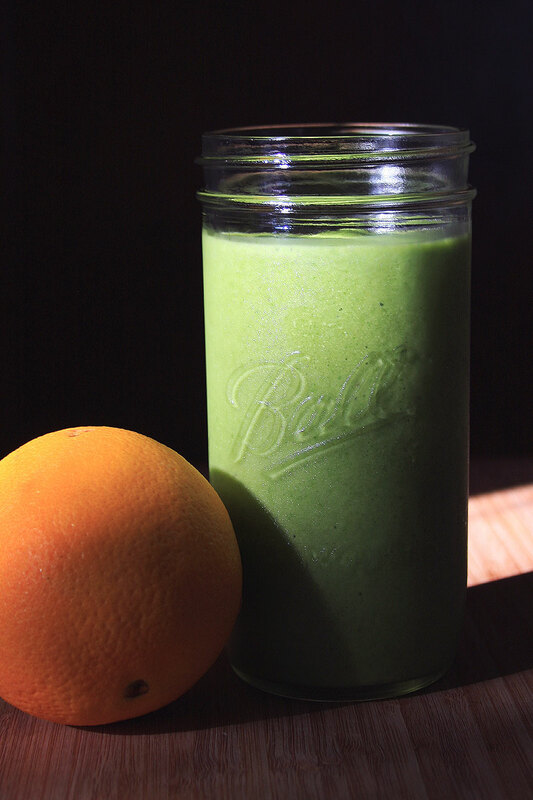 Once the banana, mango and coconut is a desirable texture, blend in the kale until the mix is smooth. 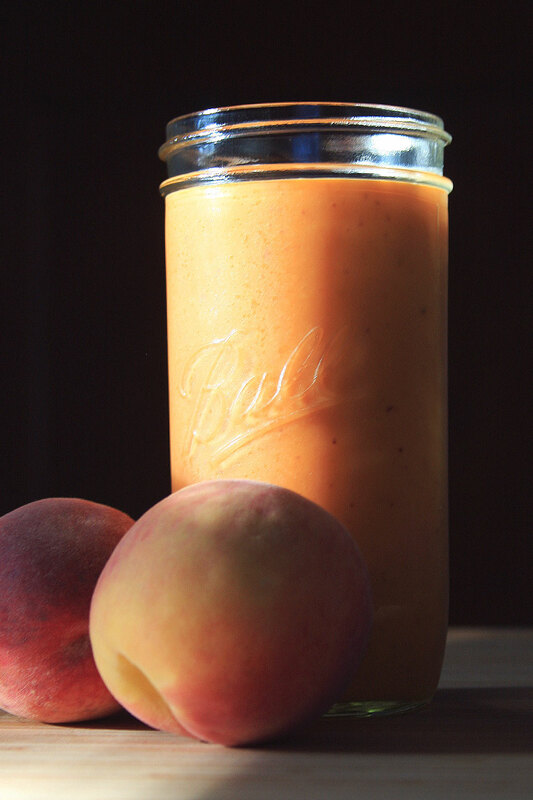 Blend the orange and then add in the pears and nectarines until smooth. 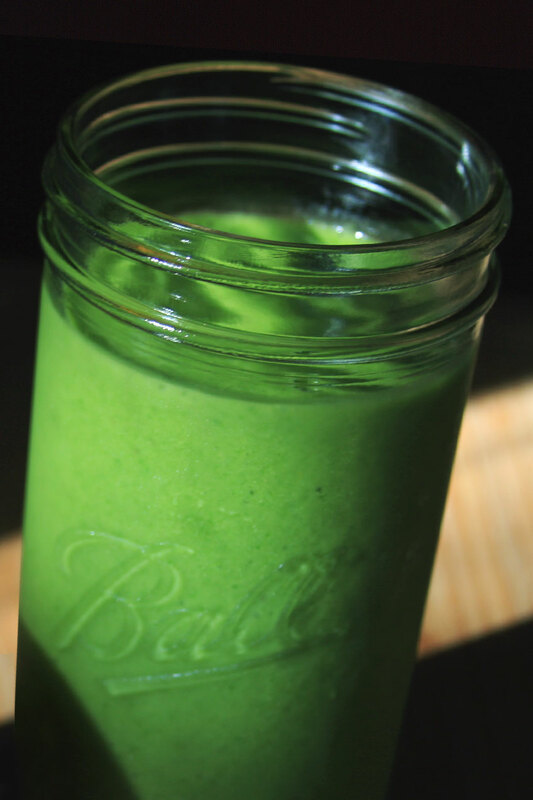 Finally, add the kale and blend until the texture of the smoothie is smooth. Blend the orange first. Add in carrots and blend until smooth. Add in coconut milk and blend. Then slowly add in all of the frozen mango and peaches until it’s a smooth texture. If you find its hard to blend, add a splash more of the coconut milk. 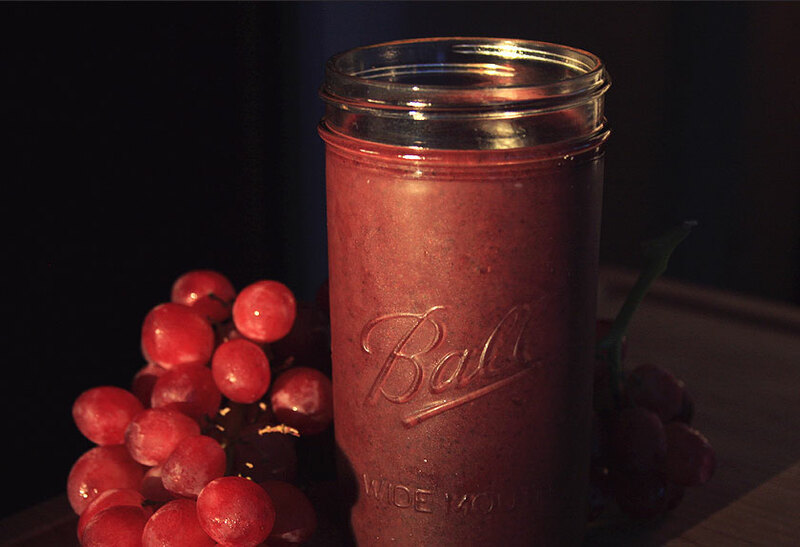 Blend all of the grapes – this will be your juice base. Add in the bananas and blueberries. Finally add the kale and blend until it is smooth. Add more grapes if you find that your blades are getting stuck once you add the kale. *A quick word to those that want to make the dietary switch to a high fiber. Please drink plenty of water. Not drinking water and ingesting a high fiber diet can be just as bad as a low fiber one. Also, we are not doctors so if you do plan to make a major change to your diet, please consult with your doctor. These smoothies look great. I have been trying to get more kale into my diet because its one of the best superfoods. I will give these recipes a try, thanks! 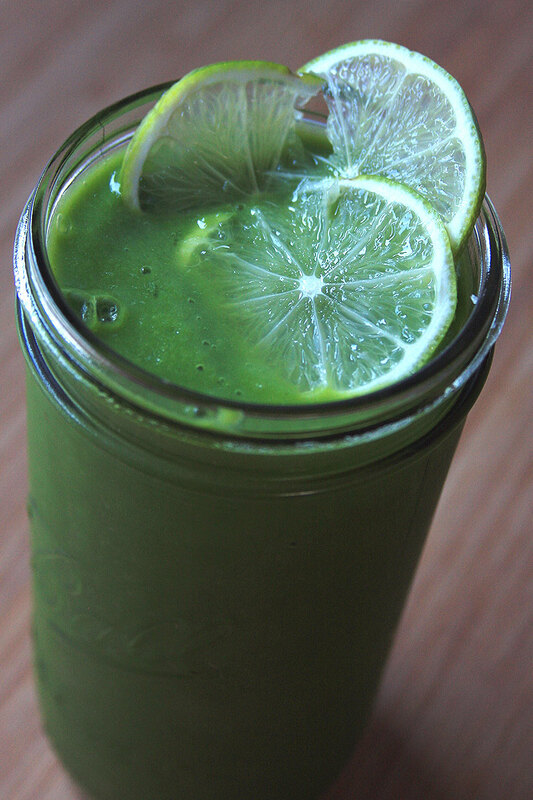 Kale is my favorite in smoothies. It also doesn’t alter the flavor too much like lettuce does. Enjoy! The smoothies look amazing! And I totally agree about having your partner by your side, usually I do. But he’s always the one who gives in to temptation and is a terrible influence lol I’m working really hard with him right now because we both know he really does want to live a healthier life. And we both know how much more successful each of us could be if we stuck to our goals. Thank you for sharing your thoughts on being on this journey with your husband, as well as the great smoothies!